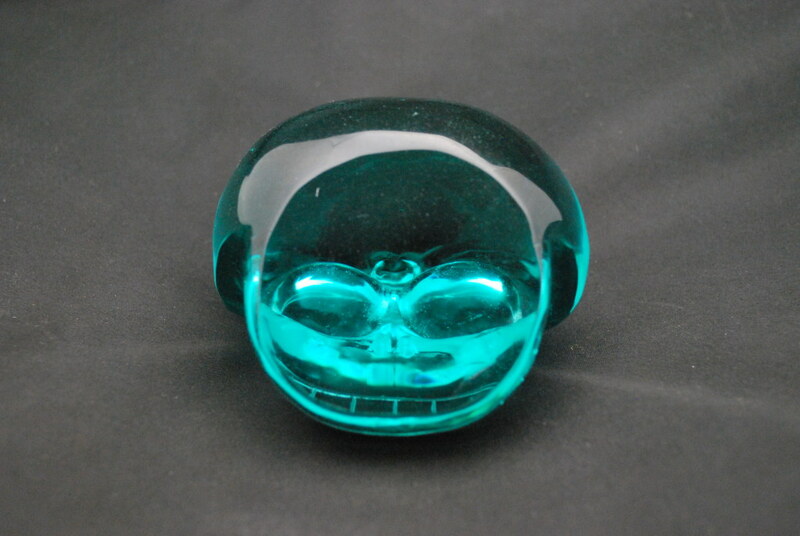 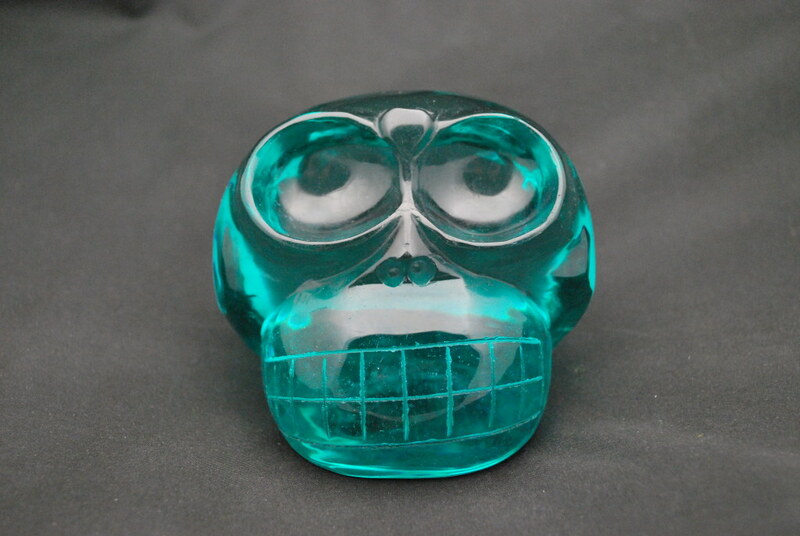 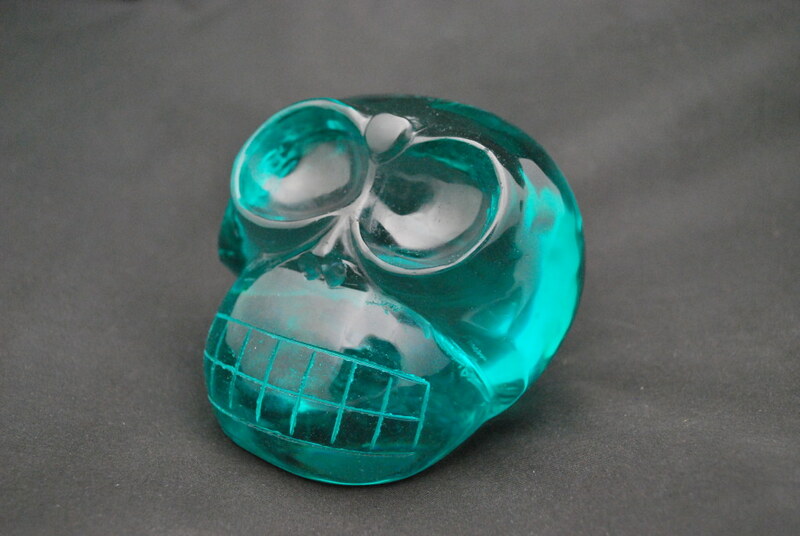 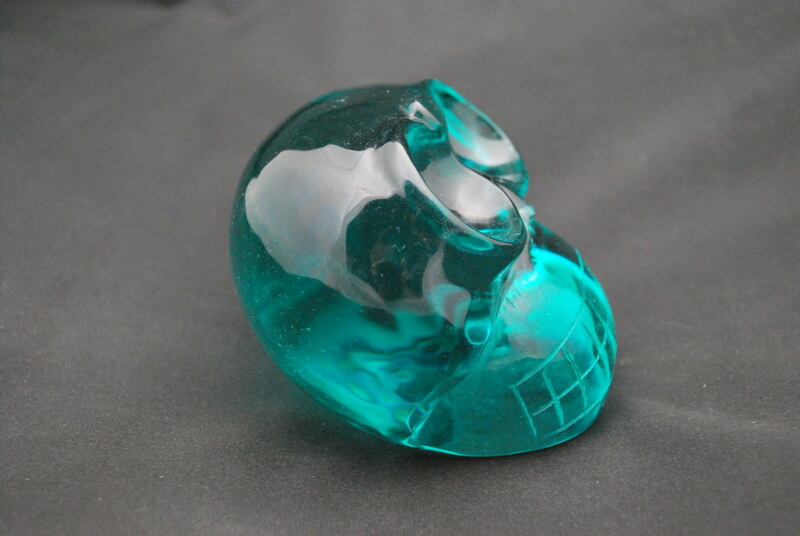 Mongolian style Blue Green obsidian Skull with heart carving on the third eye. 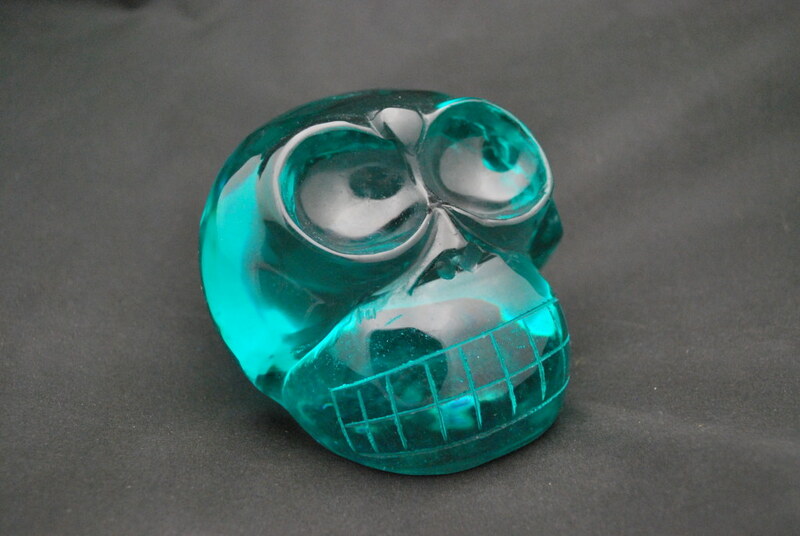 Obsidian is lustrous volcanic glass. 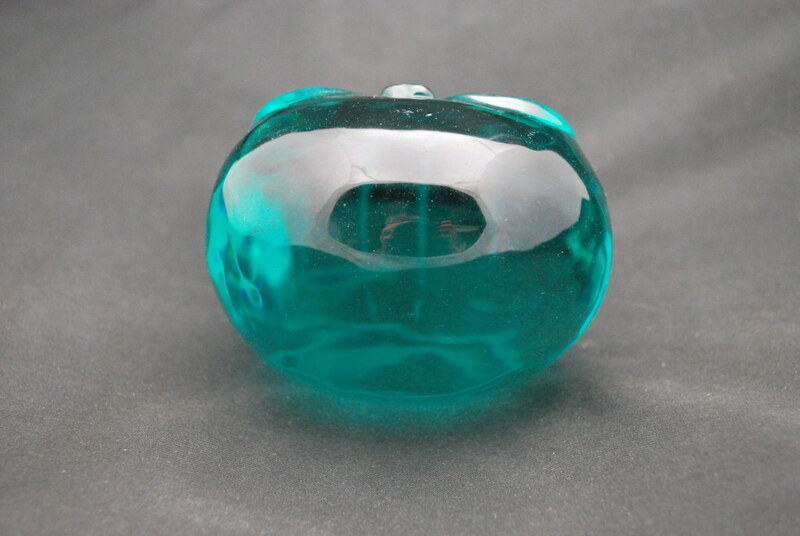 The colour range and related names are varied. 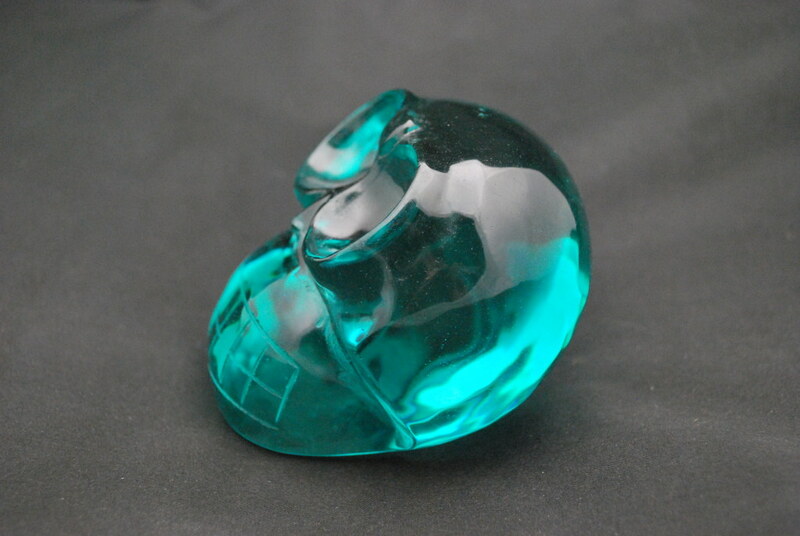 Blue Green obsidian promotes stimulation of the heart and throat chakras concurrently to enable one to speak from the heart and to understand communication with the heart.